Arrogant Swine Starts Serving Up Brunch This Weekend! Arrogant Swine has been cranking out the whole hogs for a couple months now, and anyone who's stopped by on a weekend night (or, hell, a Tuesday) knows that they are already well loved. But now they've got another trick up their sleeve: that most glorious, most divisive meal: BRUNCH. This Sunday, December 7th, they're launching their new brunch menu with a fantastic 'kegs 'n' eggs' party! Plus, and this might be the most important part: FREE bloody mary's from Ubon Bloody Mary Mix!! 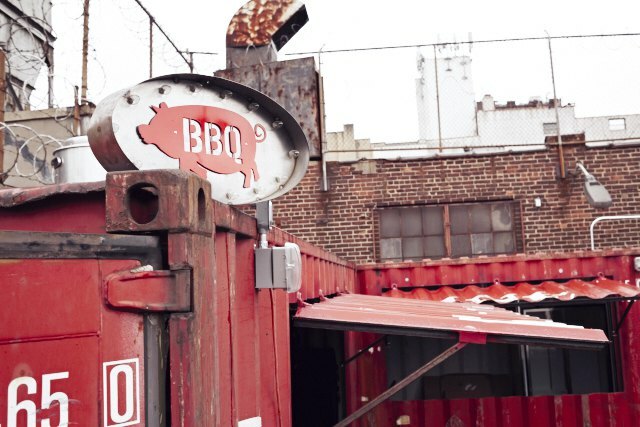 Can't make it on Sunday, but still want an excuse to gorge yourself on smoked meats? They're also throwing an end-of-prohibition party tonight, with all kinds of drink specials, including a $2 Sixpoint Sweet Action! Arrogant Swine is located at 173 Morgan Ave. They're currently open Tuesdays through Sundays from 4 PM to 4 AM, but daytime brunch launches this Sunday!